I promised myself that I wouldn't get behind on my reviews again. But here I am again, with so many books I barely remember reading that I don't even know where to start. And it looks like my life might be changing rather drastically soon, leaving me very little time to read or write for the next four to five months. So today I am making the effort to begin the catch up. 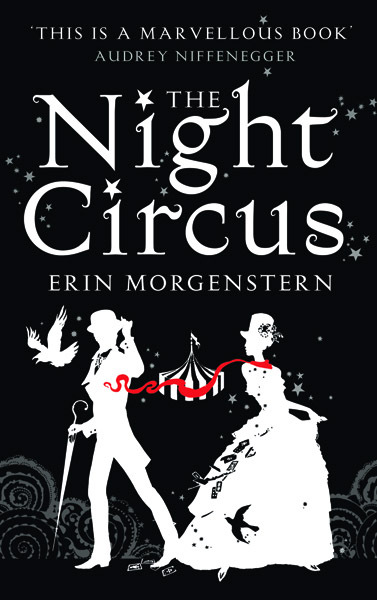 I picked up The Night Circus (2011) by Erin Morgenstern because of the plethora of positive reviews from other Cannonballers. I feel a little behind the game here. There are so many reviews of this book out there already, that there really isn't much for me to add. It was many people's favorite book from last year, and I definitely enjoyed reading it. The Night Circus is about a beautiful and magical circus decorated solely in black and white. I'm finding this book rather challenging to sum up, but this circus is a backdrop for a mysterious contest between two unknown opponents. There is magic, mystery, and love and the book is definitely worth reading. The story is entirely original and creative, and the love story is so sweet and so intense. Who knew that holding hands could be that powerful? Having said all that, though, there was something that kept me from wholly connecting to the world and people in this book. It was beautiful and it was interesting, but it felt too much like a fairy story. I guess I can accept magic and different worlds, but I still need that world to feel grounded. If anything can happen without explanation and the magic has no limits or is not really explained, I'll still enjoy the story, but I will feel distanced from it.